Uncharted always had interesting collectors editions. This one is just a simple steel book case and art book. Either way, cool for fans of Uncharted. Sadly this version of Uncharted: The Nathan Drake Collection is only releasing in Europe, Australia and New Zealand on November 17th. 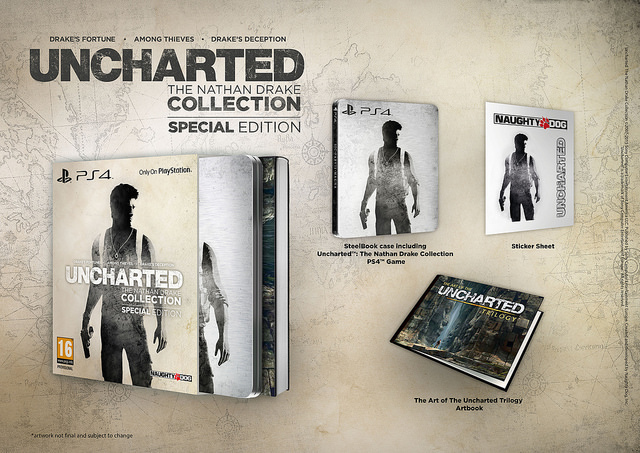 We will see if there will be a collectors edition releasing in the US.